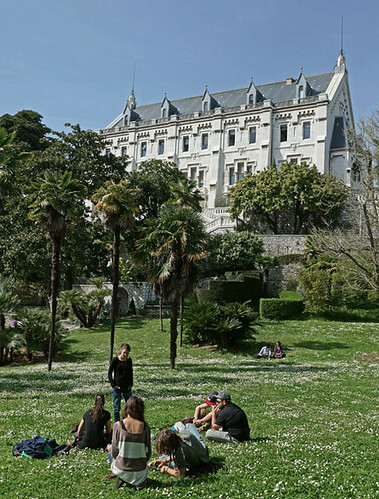 Near me in Nice is Valrose park and chateau, which used to be owned by Paul von Derwies, the financial advisor to Tsar Alexander II, who made Derwies a baron. But, it's suggested, the established aristocrats in Nice didn't accept the new baron, so he built this spendid place above Nice - and them. 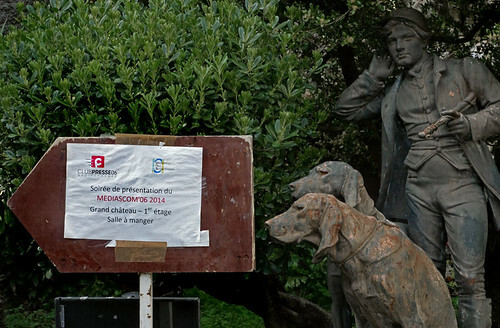 But it's now the base of the university of Nice Sophia Antipolis and the home of the science faculty. Spell it out to me like I'm five, please. Maybe I'm missing something incredibly, obviously self-evident, but right now I'm not seeing much of a red thread between your links. Nevermind a coherent story. I long gave up even trying to divine Oui's own thoughts from posts broken up by his links scattergun and trying to follow the connect-the-dots hints. I thought maybe I was being over-critical of his response to a comment of mine - which, unfortunately, led me to spend far too long responding to it in this diary. CHENNAI: The worst fears for the chess fans backing defending champion Viswanathan Anand came true as the Indian blundered in a drawn endgame to go down against challenger Magnus Carlsen in the fifth game of the World Chess Championship on Friday. The hallmark of Carlsen's play has been to mesmerize opponents from seemingly innocuous positions and to make them commit mistakes. This was exactly what happened at the Hyatt. Despite there being 20,000 committed club chess players in the UK, several hundred thousand casual players and a strong chess presence in schools, especially at primary level, this great event is being seriously under-reported. 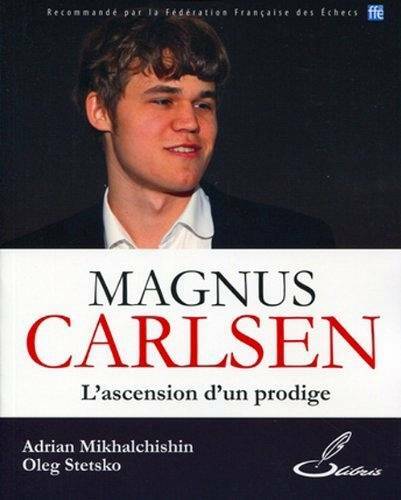 What coverage there has been is of Carlsen, who is portrayed as a kind of geeky Matt Damon. There is no attempt to get to grips with the actual chess. But in the UK, one of the top chess-playing nations in the 1980s and 90s as a result of the generation of players led by Nigel Short who were inspired by Fischer's victory in Iceland, it has been marginalised. Hence my Amis-like fantasy of Premier League games being played in front of a handful of spectators at tatty grounds, while chess is shown live on TV with Alan Hansen bemoaning the inadequacies of the Sicilian Defence. Some have suggested my rooting loyalties should lie with my fellow "old man," Anand, and not with the 22-year-old who broke my rating record and who will share my record as youngest world champion ever should he prevail in Chennai. But while I cannot say I feel joy when one of my records falls, a win for Carlsen will also be a win for the chess world. Changing of the guard, new blood, a fresh face - all these clichés are clichés for a reason. Magnus is a dynamic young man eager to promote the sport, to raise its profile along with his own, and who can inspire a new generation of chess kids (and chess sponsors!) around the world. Anand is a fantastic chessplayer who brings honor to the sport and to his nation with his skill and his boundless good nature. If he wins this match his high place on chess Olympus is assured. I am predicting a Carlsen victory because of his talent, his results, and the tides of chess history. I am rooting for a Carlsen victory because a new generation deserves a new champion. Most of all, I am hoping for big games, a hard fight, and a great boost for chess around the world as a legend and a legend in the making do battle in Chennai. 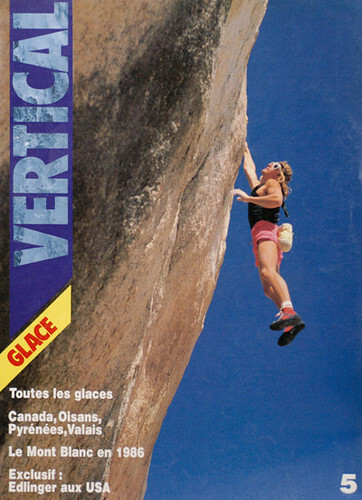 Jérôme had pencilled in that weekend, but tells me he now sees he can't make it. 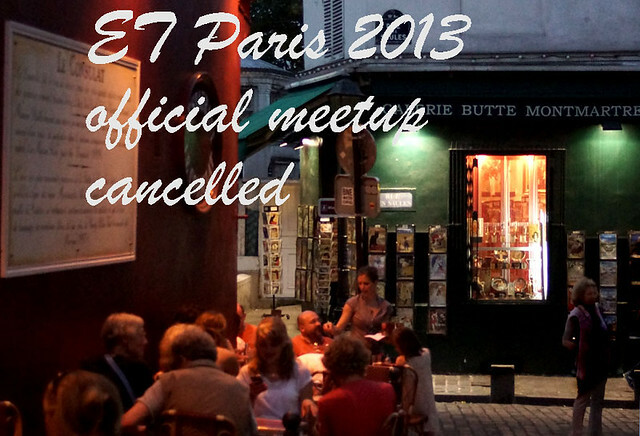 So it would be better to say there is no "official" ET meet-up. This shouldn't prevent those who can from organizing the festivities they wish. 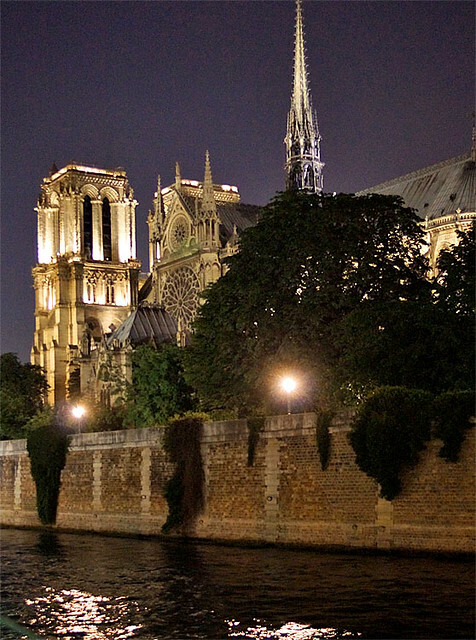 Part of the point of earlier discussion which led to agreement about Paris, weekend of Oct 11th, was that some would like to get cheaper rates by booking ahead - anybody done so ? Fortunately I'd only made vague plans and no payments. All a bit sad, as I doubt if anyone will bother in the circumstances, I've given up on it. Maybe next year we can get ourselves organised again for what have been very enjoyable weekends of OTs in the real world - even if Paris sometimes seems too good to be real. "Perhaps we're in the Matrix." "No, this is obviously a Disney production. You are the Princess and I am the White Witch." 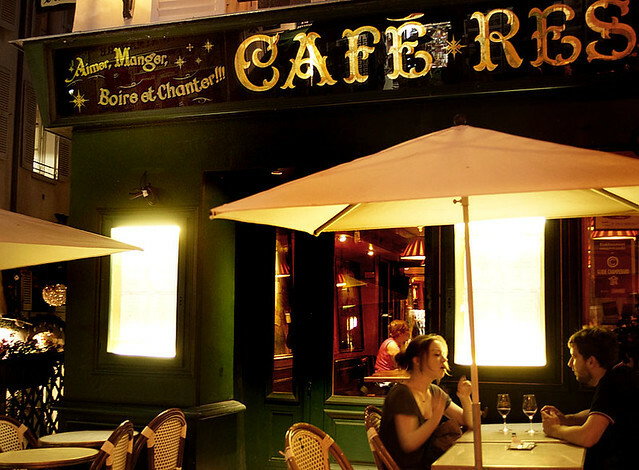 The Trois Mailletz bar, just across the Seine from Notre Dame, had been one of my favourite places in Paris, it had a lively, bohemian atmosphere, a pianist and opera and chanson singers. 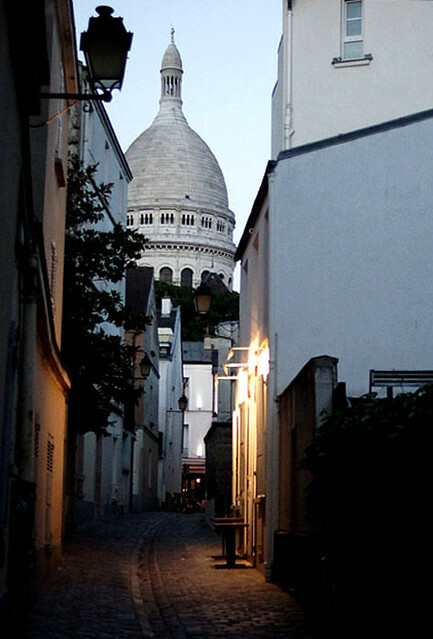 But in recent years it seemed to have become too popular, too crowded and a bit predictable. 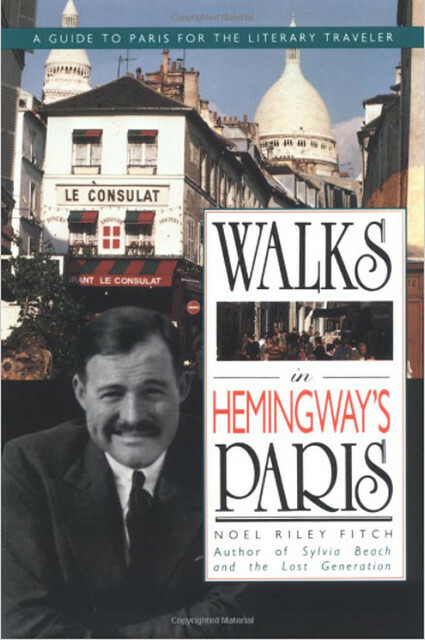 However, as I've noted before, Hemingway said to a young guy who'd claimed that Pamplona was not the same as in H's younger years: "It's always there if you know how to find it." But sometimes you need a bit of persistence to find it. "You see, mum; it's still there!" On a sat. 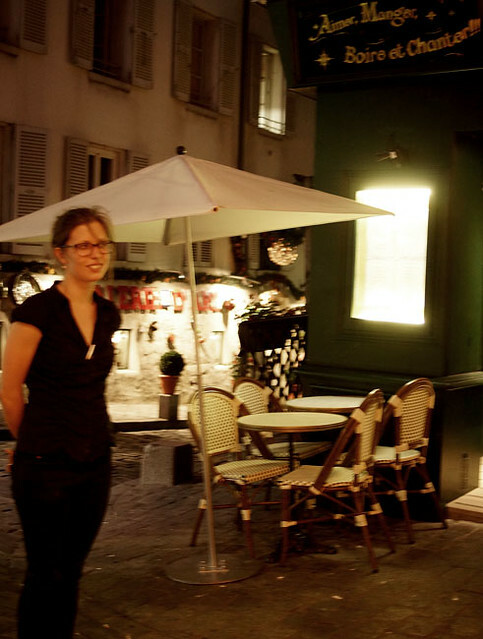 night in Paris I decided to try again the lovely restaurant hidden behind what looks like an ordinary little bar in the unfashionable part of the 18th, in rue Ordener. But it was all booked up - good to see that it was still so popular though it had changed ownership since my last visit. 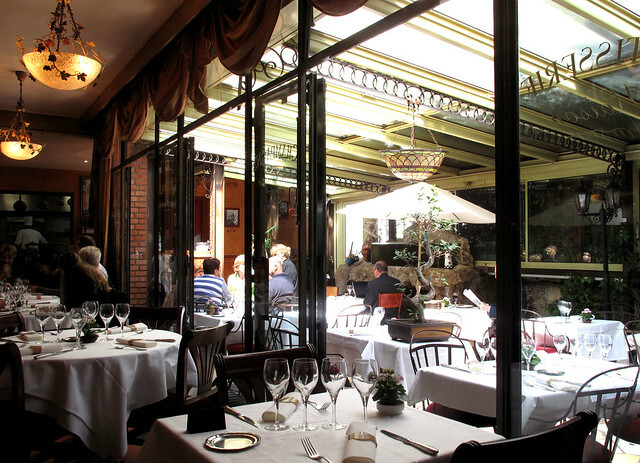 Sadly it has also changed its name from Paris Boheme, to Fetzer - oh well, I know what its name should be. 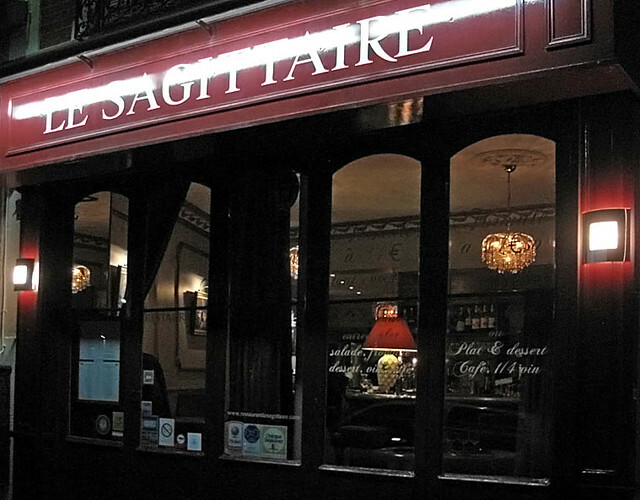 So I decided to revisit the very nice, le Sagitaire, up the hill in rue Lamarck, which I'd discovered as I'd returned from Place du Tertre during my previous visit. Though late, it was still serving, had space and an excellent 3 course menu for about 25 euros with a small carafe of red included ! However, this time it was closed for summer. So I continued back up to Place du Tertre - yes, I know there are too many tourists - but as Hemingway said to a young guy who complained that Pamplona was not the same as in Hemingway's early visits: "It's always there if you know how to find it." 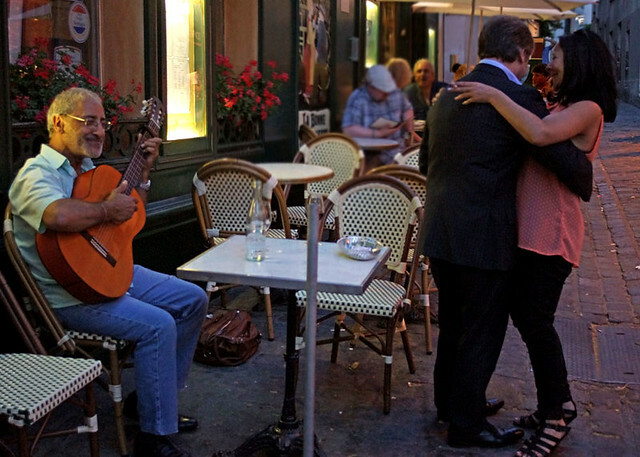 I saw that a favourite spot - outside Le Consulat, had a table, with a free table on one side, and just one guy who was not smoking and turned away listening to the guitarist on the other. So I grabbed it and luckily it stayed like that for most of the time, smoke-free and fairly quiet around me. Though after about five minutes of relishing my luck, a party of young Americans filled the corner of rue des Saules, crowded close to our tables - and almost shouting at each other - normal American behaviour :-) Fortunately, after a few minutes their guide appeared and explained about getting to their hotel later and they all moved off - oh joy, what peace ! 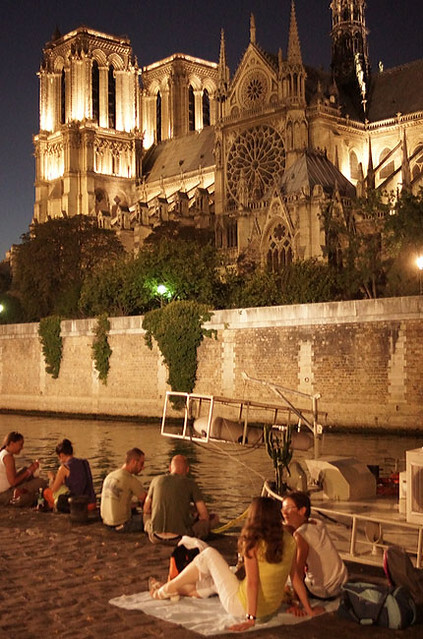 The food was fine and the number of tourists dwindled as it became dark. It was much better than my first two ideas - serendipity favours the flaneur again. 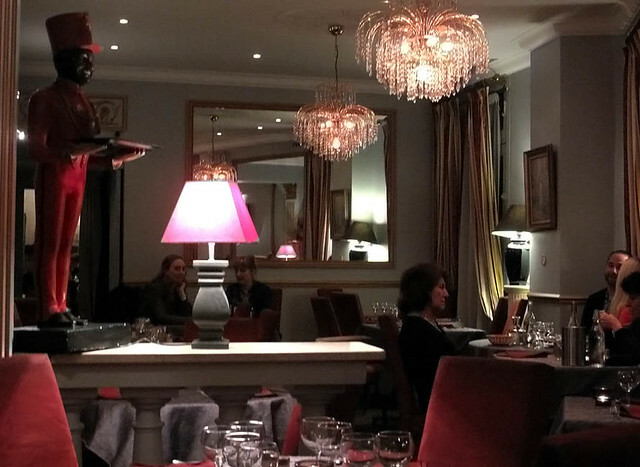 Later I saw that the cover of a book on Hemingway's Paris had a pic of him and behind him, a pic of the restaurant I'd been to that night, I was sitting in this icon of Paris, just to the left, behind Ernest's head. 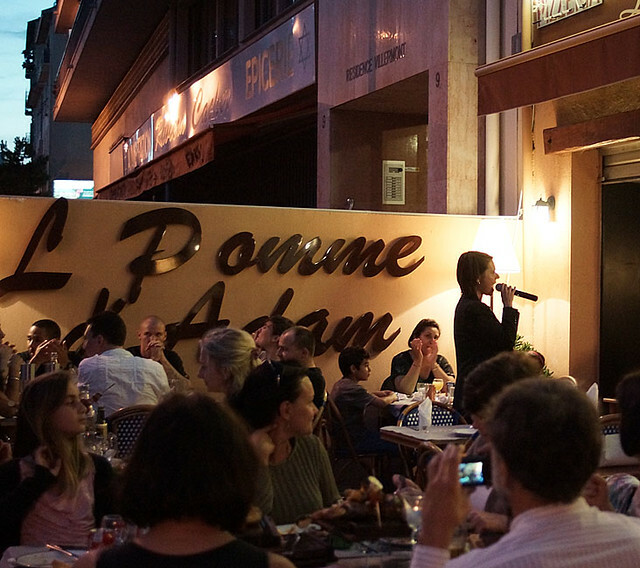 I'm sure there were some other live acts and music at non ear-damaging levels during the Fete de la Musique, but most of the local bars and restaurants had egomaniacal DJs who think louder is better. She's been widely admired, somewhat to her embarrassment. Fortune favours the flaneur again. 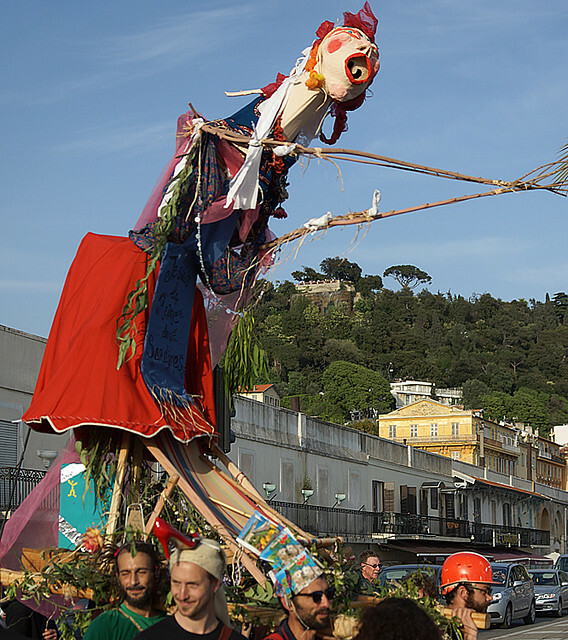 Late on May Day, just as I got towards the end of the Promenade des Anglais (so I'm sort of authorised to stroll there) a group of hippie revellers erupted from Cour Saleya, crossed the Prom and took this weird figure to the sea. It was all over in about 15 minutes - what serendipity ! A good article by Glenn Greenwald on the Boston bombs. It's quite brave, given the hysterical reaction after 9/11 when Chomsky pointed out that it was not surprising this kind of thing happened given US foreign policy for decades - "You're justifying murder!" "The idea of secondary bombs designed to kill the first responders is just sick. How does anyone become that evil?" I don't disagree with that sentiment. But I'd bet a good amount of money that the person saying it - and the vast majority of other Americans - have no clue that targeting rescuers with "double-tap" attacks is precisely what the US now does with its drone program and other forms of militarism. There's nothing wrong per se with paying more attention to tragedy and violence that happens relatively nearby and in familiar places. Whether wrong or not, it's probably human nature, or at least human instinct, to do that, and that happens all over the world. I'm not criticizing that. But one wishes that the empathy for victims and outrage over the ending of innocent human life that instantly arises when the US is targeted by this sort of violence would at least translate into similar concern when the US is perpetrating it, as it so often does (far, far more often than it is targeted by such violence). Regardless of your views of justification and intent: whatever rage you're feeling toward the perpetrator of this Boston attack, that's the rage in sustained form that people across the world feel toward the US for killing innocent people in their countries. Whatever sadness you feel for yesterday's victims, the same level of sadness is warranted for the innocent people whose lives are ended by American bombs. However profound a loss you recognize the parents and family members of these victims to have suffered, that's the same loss experienced by victims of US violence. It's natural that it won't be felt as intensely when the victims are far away and mostly invisible, but applying these reactions to those acts of US aggression would go a long way toward better understanding what they are and the outcomes they generate. (2) The rush, one might say the eagerness, to conclude that the attackers were Muslim was palpable and unseemly, even without any real evidence. The New York Post quickly claimed that the prime suspect was a Saudi national (while also inaccurately reporting that 12 people had been confirmed dead). I thought that would be your response. I note how at the end of your current comment you insist that I hadn't read it. That's typical of your style - ignore evidence to the contrary and snap back like a rubber band to the propaganda. But even you admitted that you had only "waded" through half of it! And considering that your post was only 6 minutes after the article went up, and it's rather unlikely you would have seen it the moment it went up, it's perfectly reasonable to suggest that you didn't read it at all, or at very best, read only a very small amount. As I said, I'd read enough to see where you were coming from and was disgusted enough with that cheap propaganda trick to comment. What cheap propaganda "trick"? Just saying something like that doesn't make it fact. Seriously Greenwald, when are you going to stop cherry-picking anything you can find to try discredit your country? In what way is it cherry-picking? Do you give a damn about America's "double-tap" attacks? Do you have anything at all to say about them? Or separately, what about the fact that 42 people were killed in Iraq yesterday? 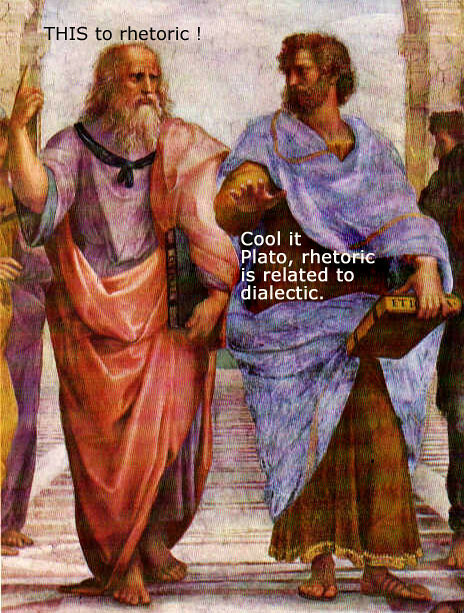 The delay in finishing my reply to de Gondi about dialectic - "Dialectic and the defense of reason" - had the positive effect of allowing a kind of internal dialectic to develop, moving on from debate to the resolution of some differences at a more general level. 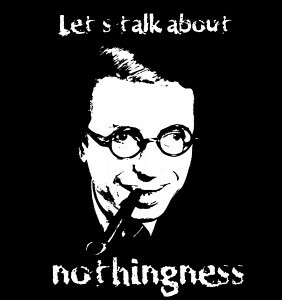 The significance of some things that united Perelman and Olbrechts-Tyteca, Burke, Rescher, Johnson, Walton, Lakatos, Chomsky, Ollman and Bourdieu became more apparent and more important. So let me suggest a path forward and also a wider horizon. De Gondi: "I always look forward to your diaries as a source of pleasure and controversy, often through unexpected themes." 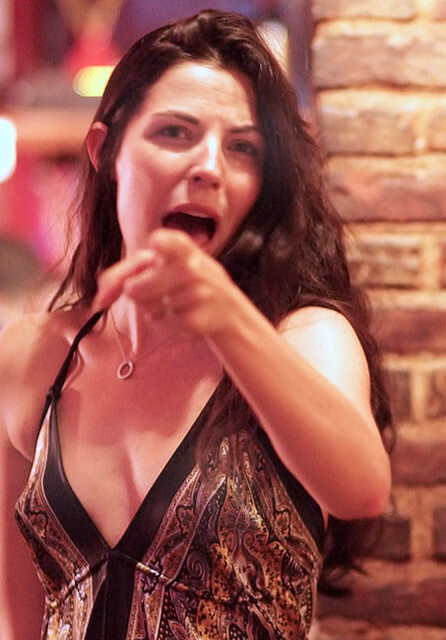 Thanks for your kind words about my diaries, de Gondi, I have ideas for a couple more, but, unfortunately, I have had to get mired in this detail about dialectic again, since you've chosen to try to defend your generalised abuse about people using the term - while uncritically preferring rhetoric. However, there has been some interesting reading along the way, including information about Lakatos's background and political development. 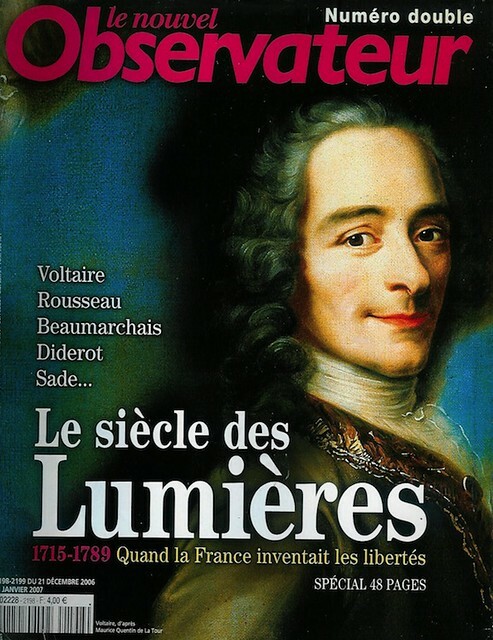 I didn't know about this, though I had read his work and that of Feyerabend at the time of their debates. As it happens, Lakatos is an excellent example of the value of dialectic, so you shot yourself in the foot again by citing him. I'm also happy that my reading around this already very varied set of subjects led me to Kenneth Burke, who I knew about vaguely as a literary critic, but again I didn't know about his political involvement - funny how such things are less emphasized in our culture. Burke highlights the dangers of rhetoric, which you blithely ignore, as if there haven't been plenty of "wankers" using rhetoric for "intellectual sham". It was therefore another bit of serendipity to find that this expert on rhetoric was a strong advocate of the value of dialectic as a defense against extreme rhetoric. This reading around the subjects, my Roman holiday, putting together the diary about Rome, and helping a couple of friends with websites, has delayed this response. However the delay in finishing this allowed time for a sort of internal dialectic to develop, moving this on from debate to the resolution of some differences at a more general level. History repeats itself as farce ? 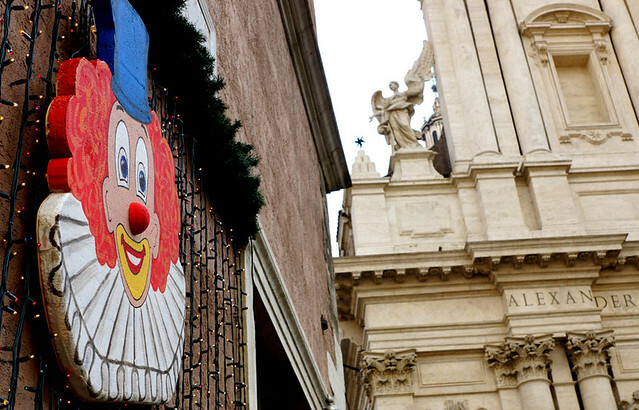 "Grillo is like a character in one of my plays," says Dario Fo, whose satires on medieval and modern life have seen him handed a Nobel prize and hounded off Italian stages in a career that has covered 50 years. "He is from that school of medieval minstrels who played with paradox and the absurd," adds Fo. Fo, 86, is best known for his play Accidental Death of an Anarchist, inspired by the death of a man in police custody in 1969, and has long been a leftwing hero in Italy. He publicly backed Grillo this year, co-writing a book on the comedian's fledgling political movement and giving him a ringing endorsement at a packed rally in Milan's Piazza Duomo days before the election. The real trap for Grillo, warns Fo, is being beguiled by flattery. Turning again to history, he cites Cola Di Rienzo, the charismatic son of a tavern owner in the 14th century who wooed Romans with his oratory and became the city's leader, setting his sights high and ousting corrupt noble families, only to see his support slip away before he was murdered by a mob as he sought to flee in disguise. American gun films - out of control ? 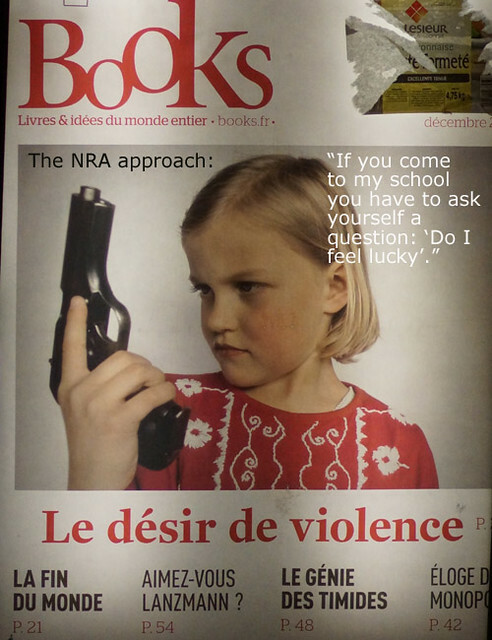 The issue of violence, with obvious reference to the US, was raised in December 2012 by a French magazine - this is a poster for it on display in Nice (English text added by me). Often I learn through the comments from others and from researching my own responses to some of them. 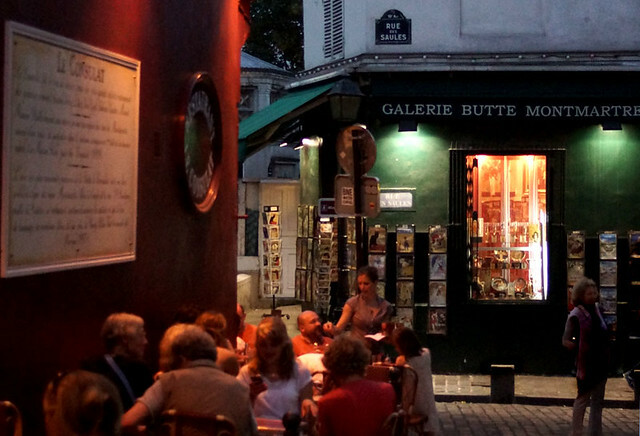 This has been the case with my diary about the recent cafe-philo in Paris. The research involved in responding to comments by de Gondi and ATinNM grew, so I've used it to write a new diary rather than just adding a couple of comments. 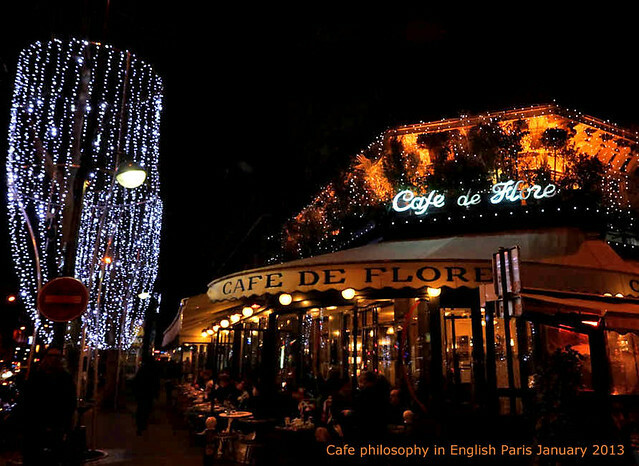 Cafe-philo in English, with a French flavour. 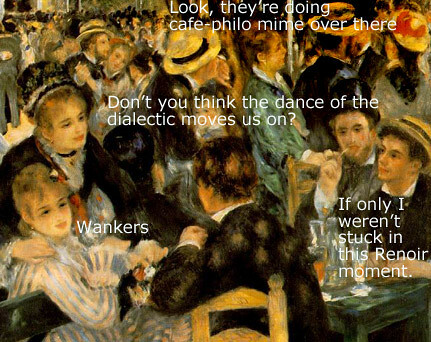 The Jan 2nd 2013 meeting of the cafe-philo in English was packed; perhaps people had resolved to be more philosophical in the new year. On the positive side this cafe-philo does encourage an interest in philosophical issues and provides a platform for the expression of opinion about general ideas by a variety of individuals. However the democratic format does tend to lead to the selection of very general issues which can be expressed in a single short sentence, in this case: "Can education remedy/fight (!) violence?" Well, yes and no; some kinds of education can help reduce some kinds and levels of violence, but also, rather obviously, some forms of education (e.g. technical, how to create an atomic bomb) can lead to enormously increased violence. The proposer himself cited Spartan education for the production of warriors and someone else claimed that many SS officers were PhDs. 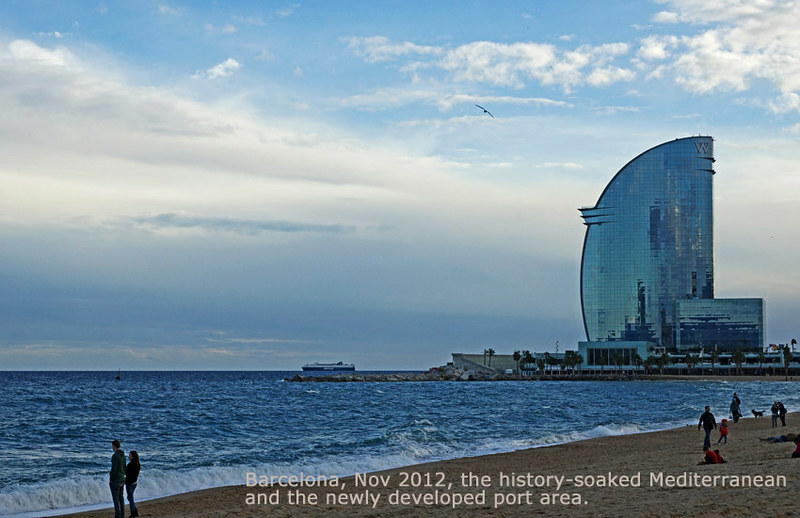 I went to Barcelona for the first time about twenty years ago, with a group of students and lecturers. I'd done some research and the first night did a tour on my own: Champagneria, Four Cats, etc. The next night I took my colleagues on my guided tour of Barcelona night-life - a barman letting us out of the last bar at about 3 am. I enjoyed the trip so much I went back on my own soon after. That time I saw one of the best flamenco shows I'd ever seen, up on Montjunc, stayed on for another show and came back down the hill as the sun came up. 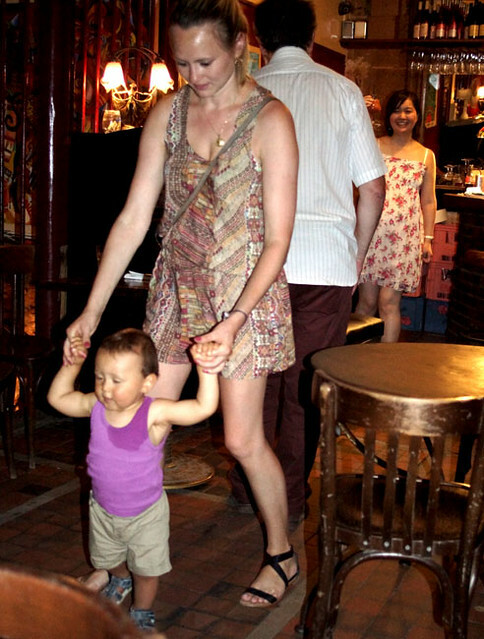 I got drunk enough (I'm British) to accept a dancer's invitation to join her on stage and tried to dance sevillanos (and didn't do too bad according to a female friend).